Here’s one bred in the purple. Lot 1 is sired by the Supreme Champion Hereford at the 2017 National Western Stock Show, Aventus, and out of the great Breathless donor that won multiple championships during her show career for the Sims family of Oklahoma. If you like your Hereford cattle devoid of muscle and look, this one isn’t for you. She is built with width and dimension from the ground up but still has the elegance of a lady as she floats across the pasture. This one has been shown with success here in Arkansas but it’s time she finds her way to the big cities where she’ll be admired by cattlemen of all kinds. Lot 2 is a special female no matter how you look at it. Genetically she is backed by the 189 cow family who’s mother is a full sister to Unlimited Power himself. 189 was the mother of Van Vliet’s Denver Reserve Champion Mainetainer in 2018. After seeing the Bismarck females in production the last few years we knew he was a bull that needed added to our Maine Angus program. The cow look and udder design on this lot 2 is second to none. She is living proof of what is going to make this Maine Angus program the hottest thing since Maine’s hopped the boat from France. W/C Relentless needs no introduction. Relentless has single handedly taken over the Simmental show ring with full control. We opted last spring to flush some Maine donors that way and man are we glad we did. This lot 3 beautiful baldy female is long necked and cool built. She’s so good in terms of her back and hip design for a Simmental. She also has the option to register Percentage Simmental or Mainetainer. 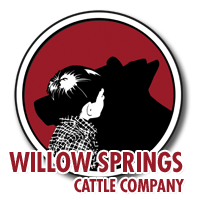 Her mother was the famous Jenny donor, a past division champion herself and a go-to donor for Willow Springs. This is one of the few females that will be sold this year out of the Colburn Creed sire. The Creed bull combines the best of Style and Bismarck in one supreme genetic package. This one is crazy long necked and extra long bodied. She’s also backed by the 189 donor, mother to Van Vliet’s Reserve Champion Mainetainer at Denver this year. We think the upside potential on this one is great. Lot 5 is a full sister to a past high seller at WSCC that sold for $40,000 and was campaigned by the Skiles family of Texas. The Primrose 091W cow goes back to the Cornerstone bull of Kevin Jensen’s program in Kansas. We feel this one’s combination of genetics and phenotype make her one exceptional female. We did not have a ton of SimAngus females this year but this one right here should grab your attention. This Relentless daughter has the look that will send a judge to the chiropractor. So soft structured and good in her build with a neck like a giraffe. Her mother is the 92B cow, a direct daughter of Dameron First Class and out of the Lutton cow that topped the Triple C Simmental dispersal sale. Here’s one that you will want and need in your show barn. High percentage Maine female offered here. Sired by the show bull of the ear BPF Middle Man and out of the Winnie 43W donor. She would be a ¾ sib to the Channel cow at Vicklands in Colorado. Channel was a past show heifer of the year in the Maine breed. Lot 7 has the squishy legs that the kids are talking about now-a-days. Not to mention she is long necked and flat shouldered for Maine cattle. This one just needs a little feed for it all to come together. Here’s the younger full sister to lot 5. And, she’s cut from the same mold as her sister. Lots of power and dimension to these Unleashed cattle. You love the width and levelness of hop this one has. Backed by the Jensen bred 091W Hereford donor, you just can’t go wrong. Epic is a ¾ Maine sire that will have a dramatic influence on Maine cattle in the years to come. We did not have may this year but let’s just say they are good. Look at the neck and shoulder construction this lot 9 female has. She has a beautiful sweep to her rib cage and has the feet and legs of a thoroughbred. This one will register as a High Chi and Mainetainer, and can compete both sides. Here’s one bred in the purple – Silveiras Style out of Sullivan bred Who Da Man x 6640 cow. Full sib in blood to the Junior National Champion the last two years. The upside potential here could be as good as anything in the sale She’s young and green but all the parts of a champion are there. Just add some feed and some brushing and you’ll be loving your investment. Here’s another daughter sired by the immortal Creed. Her mother is a past sale feature at the Reimann dispersal sale. 9/916 was Nick’s favorite Ali cow and if you saw her in person you would have to agree. She is a huge footed and huge ribbed female, unlike any Maine cow you would lay your eyes on. Lot 11 is a flat shouldered, huge ribbed one that simply floats as she moves across the pen. Awesome Mainetainer show heifer, even better cow. If you are a Simmental breeder, Wernings and RJ Cattle’s 8543 cow family needs no introduction. It has become the go-to cow family for top bulls in the Simmental breed. We offer here in this lot 12 a double bred 8543 daughter. Sired by Bullseye (Lock N Load x 8543) and out of the Biscuit donor (High Regard x 8543) this one is chuck full of the best genetics you can find. She’s huge ribbed and extra sound off of both ends of her skeleton. 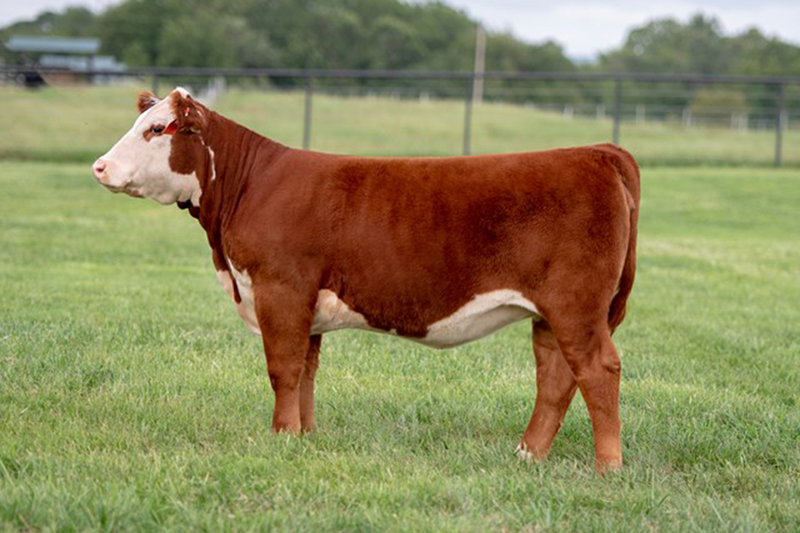 Don’t miss this high quality Purebred Simmental female. Sired by the hot new bull in the Hereford breed, On Point, and out of our Ima donor (About Time x Harley) this lot 13 is a combination of new and old school genetics. This one is extra long necked and cool fronted with tremendous body for such a young female. She needs some groceries but all the pieces are there on this female. Don’t miss out on top notch genetics this one has going on. This Style daughter shows you why the Style cattle have been dominating the show ring from coast to coast. Good, fundamental cattle that are built right from the ground up, folks. They have a natural arrogance about them that gives them a show ring presence that allows them to shift gears and pass right by the competition. 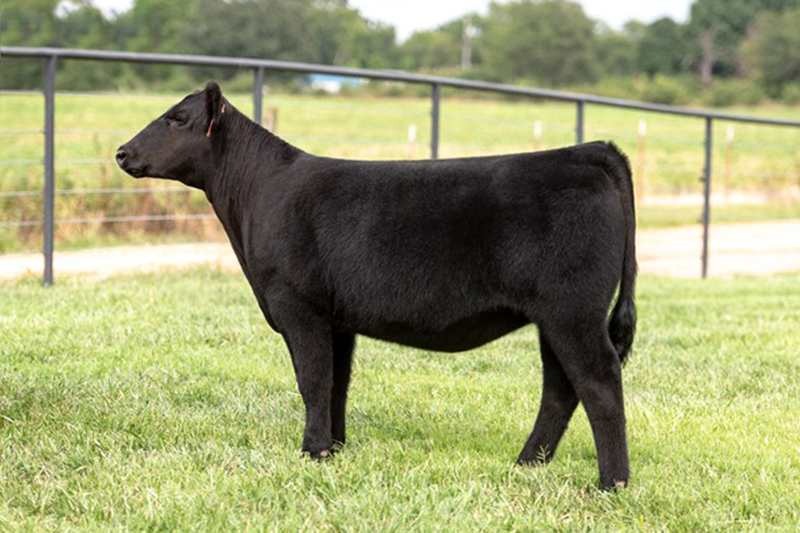 Lot 14 is a solid built one that will be a competitive high percentage Chi show heifer this season. High percentage Maine heifer offered here. A full sister to the Vickland Channel donor that was past show heifer of the year. Also another sib was the past high seller in the Investment Sale, last December for $20,000 and went on to be named Reserve Calf Champion at the National Western. You really can’t go wrong with the Winnie 43W cow family. 43W is a Polleroid daughter raised by Diamond M in Kansas. You just can’t find cattle bred like her with this kind of phenotype very often. We round out this set with the first daughter of the 2017 Denver Champion Mainetainer female. Judge Jake Bloomberg called this one’s mother “awesome structured” as she dominated her competitive Mainetainer division. Lot 16 is a long necked Daddy’s Money daughter that is royally bred. Don’t miss out on these champion genetics.